Symposium 2019, A Decennial Celebration! 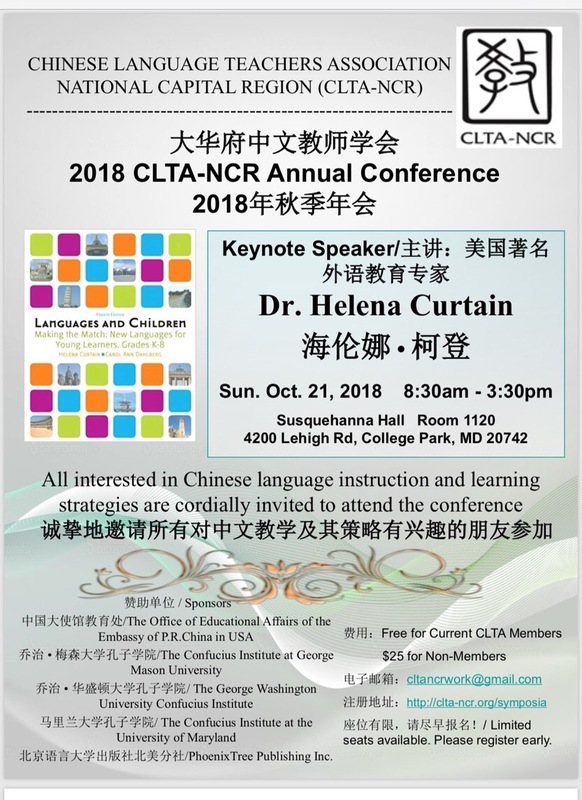 2019 marks the 10th anniversary of the CLTA-NCR. To celebrate this milestone in our organization, we are planning a major conference. Stay tuned for more information. Date: Saturday, October 19, 2019. Download the conference flyer here [available soon]. Date: Sunday, October 21, 2018. Venue:Susquehanna Hall, Room 1120, University of Maryland, College Park. Registration form: sign up here. For more information, download the brochure Symposium 2017.